I have a few orders to fill and a bg problem. a family of squirrels has taken up residence in my garage. They seem to like the old knob and tube wiring and have chewed it apart. This time they got the part where the wires come in, way up in the point of the roof. That means I have no electric. That means I really can’t do much work on boomerangs. I needed to find a way around that. well My router table is portable so I set it up in the yard and proceeded to cut 45 degree bevels on a bunch of blanks I already had cut out. 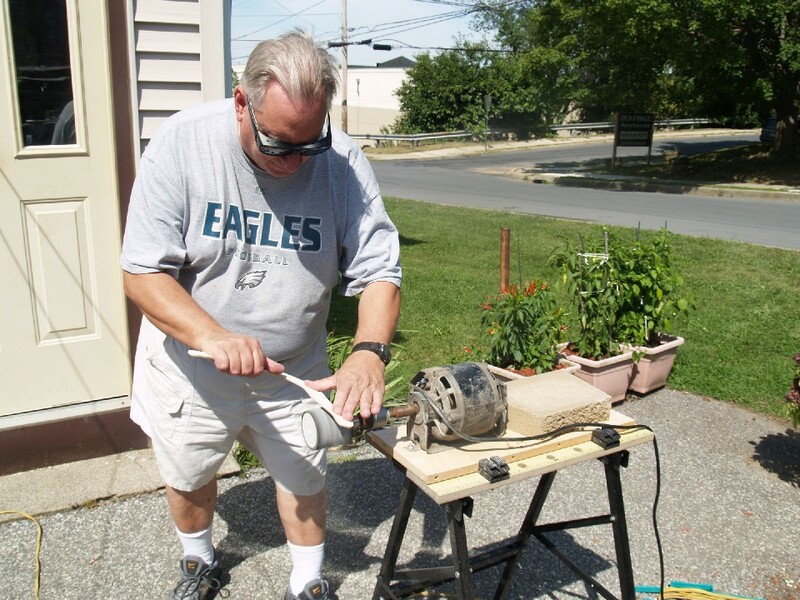 Then I dug out the sanding drum set up I made from a motor, drill chuck and a sanding drum. I set it up on the patio and can now shape boomerangs with it. Since some of my orders require polycarbonate boomerangs i worked on those first. I forgat how hard they are to shape. The polycarb is rough on the sanding paper and I can only get one boomerang done before I need to put new paper on the drum. The polycarb also takes me 5 times as long to shape than a similar boomerang from plywood. I only got 6 done before I needed to move on to other work. 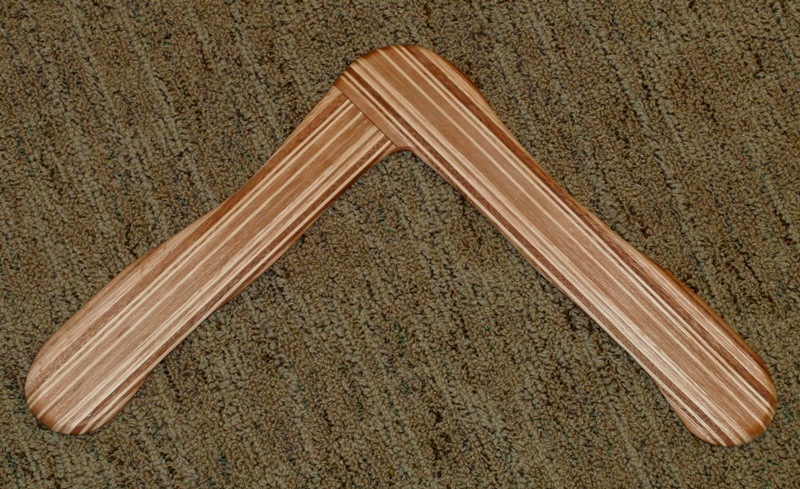 I did get to get dirty with sawdust by shaping this nice strip laminated and lap jointed boomerang from oak, cherry and mahogany. Looks nice and its no where near finished.